Mullion Cove Hotel offers fantastic work opportunities and we are always on the look out for talented, committed individuals who would like to pursue a career in the hospitality industry. We offer great rates of pay, meals on duty, a fun but professional working environment, career opportunities within our hotel group and live in accommodation. We employ staff in full and part time positions or summer jobs for students wanting hospitality work during the summer holidays. We are on the lookout for an experienced Assistant Head Housekeeper / Housekeeping Supervisor to join our Award Winning Team. The role will include assisting the Head Housekeeper to mainatain the high standards across the housekeeping department and luxury Apartments. to apply for this position please email careers@mullion-cove.co.uk for further information. We are looking for an experienced Spa Manager to join the team to help launch our Brand New Spa Opening this Summer. The right candidate will have past experience of managing Spas with a proven track record in 4 or 5 star Hotels. Click here for our full job description. Email daniel@mullion-cove.co.uk with your CV to apply. We are looking for experienced Spa Therapists to join the team in our Brand New Spa opening this Summer. The right candidate will have past experience in hotel spas, delivering treatments and great customer service. We are looking to fill the posts by May 2019 - click here for our full job description. Email daniel@mullion-cove.co.uk with your CV to apply. Mullion Cove Hotel have teamed up with Hospitality Table Cornwall, HITs Training and Truro & Penwith College to offer apprenticeships across all departments within the business (including Bar, Kitchen, Reception, Maintenance and Housekeeping) work experience placements, career taster days or end of education full time positions. We offer great rates of pay, which are higher than the government national apprenticeship minimum wage. Share of the monthly tips, free live in accommodation for the first 12 months of their placement, auto enrolment into our staff profit share programme and the opportunity to work with our sister property in Devon. 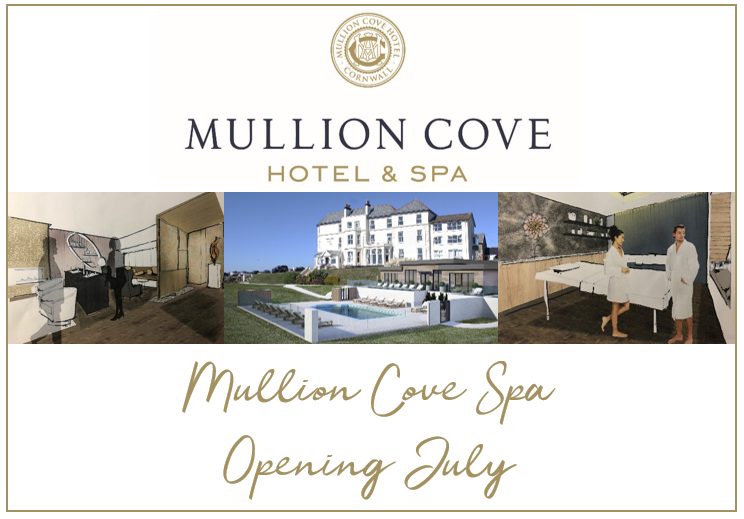 Should you wish to find out more information regarding recent apprenticeship vacancies or to apply for a position please email careers@mullion-cove.co.uk for further information. If you would be interested in working in any department please forward your CV via e-mail to careers@mullion-cove.co.uk or by Post to General Manager, Mullion Cove Hotel, Mullion, Helston, TR12 7EP.